One of the best things about choosing a UK destination for your next break is the fact that the UK is a haven for history buffs. With historic sites and landmarks covering this small island, those with a penchant for history will find no end of things to see and do. We have three holiday parks in Lancashire, an area which has a rich and fascinating history, just waiting to be explored. So, if you count yourself as a bit of a history buff, this is the perfect destination for your next break, but what should you see and do? Set in the heart of Lancaster, you’ll find the grand Lancaster Castle, one of the most important historic sites of the area. This castle was home to a working prison as recently as 2011, and some court cases are still heard in the Crown Court to this day. You can now visit the castle and take tours, learning all about the rich history of the stronghold and the role it played in the history of the city and surrounding areas. 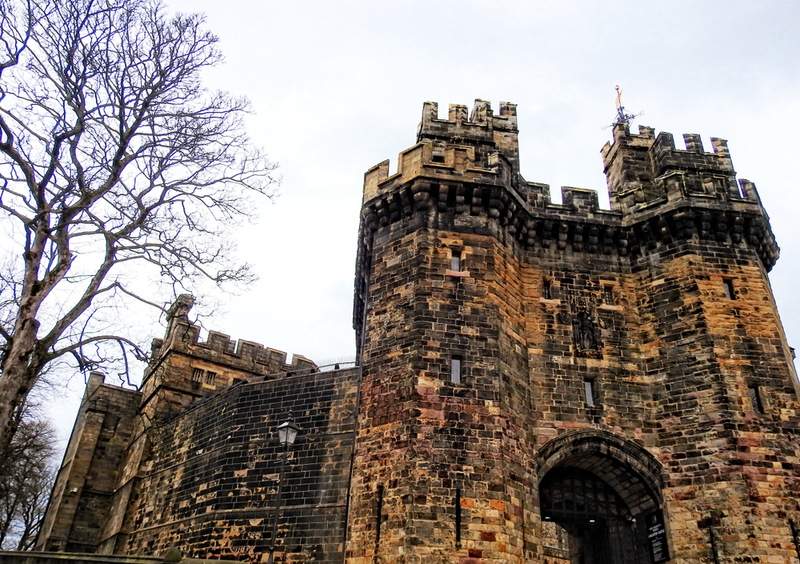 For centuries, Lancaster Castle served as a daunting structure looming over the city, judging, sentencing, imprisoning and even executing criminals and those who may not have been guilty of any crimes at all. The most notable of these is possibly the Pendle Witches. The trial of the Pendle Witches is one of the most famous in British history, partly due to the number of guilty verdicts and executions which took place. Between the 15th and 18th century, it is estimated that fewer than 500 executions took place as a result of the witch trials in England. This trial accounted for ten of these executions. The story of the Pendle Witches is captivating, featuring a 9-year-old girl who accused members of her family of witchcraft, with her testimony ultimately leading to their guilty verdicts and executions. There are a number of sites around Lancashire which relate to the famous witch trials, such as Pendle Hill or The Golden Lion pub where the condemned witches took their last drink before being escorted to Gallow’s Hill where their sentence was carried out. Built in 1894, Blackpool Tower is an iconic structure, inspired by Paris’ Eiffel Tower. The tower features a ballroom and a circus, both of which have been functioning since the tower opened to the public. Even before the Blackpool Tower opened, it was attracting hordes of visitors, one reason being Dr. Cocker’s Aquarium, Aviary and Menagerie which helped to make the money needed to fund the tower. This attraction housed lions, tigers and even polar bears! These days, Blackpool Tower has a number of new and exciting attractions (none of which feature exotic animals) which include the Blackpool Tower Dungeon, Jungle Jim’s and the Blackpool Tower Eye. Lancashire really does have plenty to offer to visiting history buffs. Whether you want to tour around a grand castle or visit the former home of some of the most famous witches in British history, Lancashire is the place to be. If you’re considering a visit to this historic part of the country, make sure to stay at one of our Lancashire holiday parks. You can find out more about our parks by getting in touch with a member of our team who will be more than happy to help.